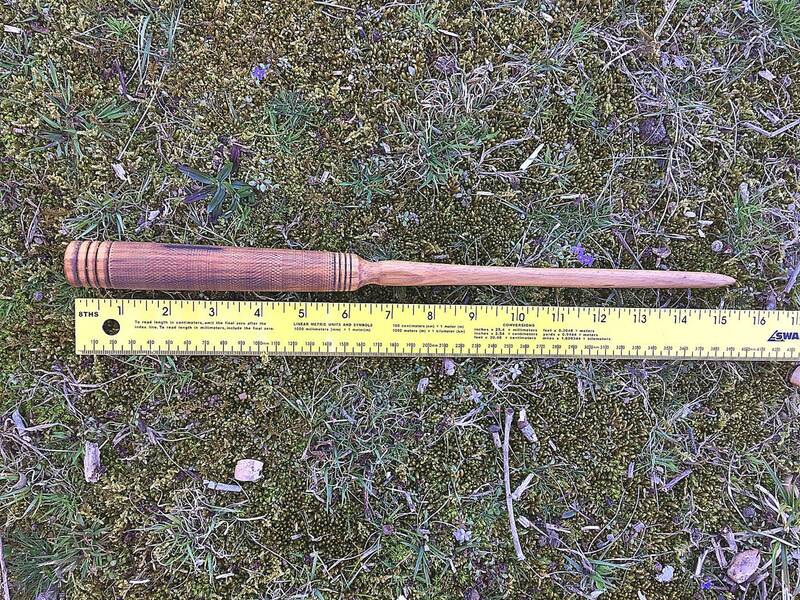 This listing is for the wand pictured, 15" in length. Includes a black satin wand bag! The wood is black heart persimmon. Persimmon wood is associated with protection, love, healing and luck. Since persimmon is a fruiting tree, one can use this wood for abundance spells and to manifest the "fruits of their labor." This is a nice, solid substantial wand with strong energy, just waiting for a strong willed individual to wield it. The wood is simply beautiful to behold! Wands are a great addition to your spiritual toolbox. They are used as an extension of your body to direct and focus energy during ritual work in many spiritual traditions, as well as for fun or cosplay. The use of these tools can be traced back to many ancient civilizations. Wands by themselves are not "magic," as the energy and magic required of them is generally channeled from the practitioner and user of these fine tools according to your intentions and purposes. In other words, the magic comes from within you. The wand one will select is entirely personal to each individual and one may choose a wand based on their own intuition and/or tastes. There are as many and varied uses and choices of materials for wands as there are practitioners. The wand should be used in your dominant hand. We do not advocate the use of our tools for dark purposes and to attack others, as the energy you send out will return to you. If used for ritual purposes, we recommend charging and cleansing your wand before use, such as in sage or energetic smudge smoke, as well as under a full moon. You can also hold it between your hands and infuse the wand by visualizing healing light. We do not recommend letting others hold or use your wand, as all who touch your wand can infuse it with their energy, nor use your wand while upset or angry. Always be careful where you wave your wand, so as not to cause injury to others. 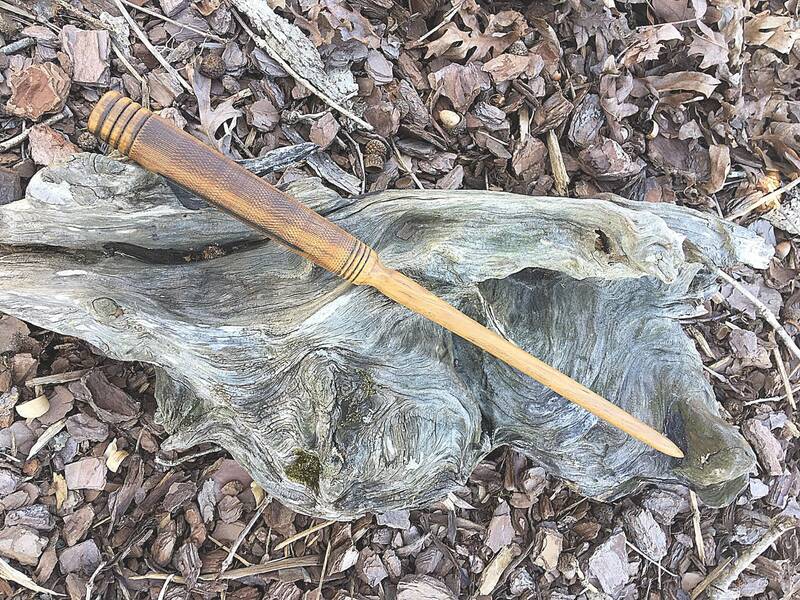 Greybeard's Magic Wands are hand-crafted, hand-turned, and naturally finished with beeswax and natural plant-based oils in our woodshop with positive intent and healing energy. 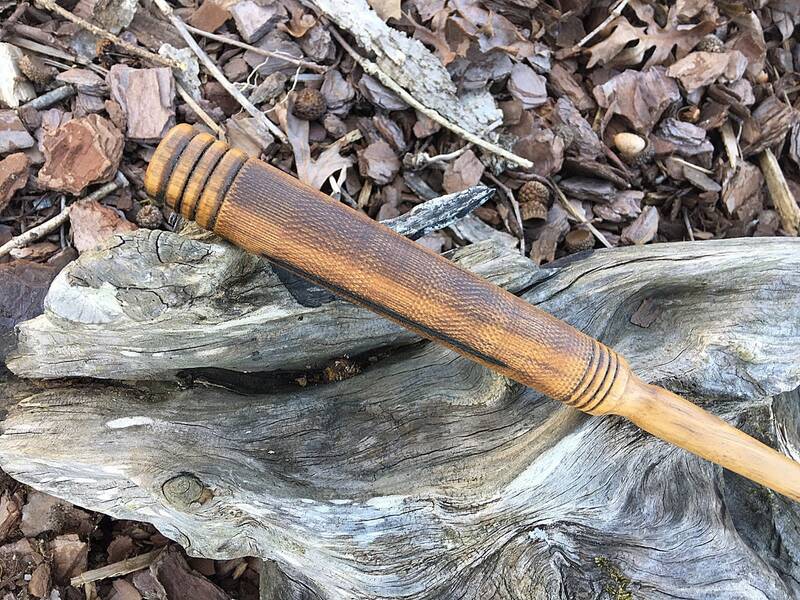 Our wands are handcrafted using the finest woods chosen for their energetic properties, as well as esthetically pleasing look, and no two wands are exactly alike. 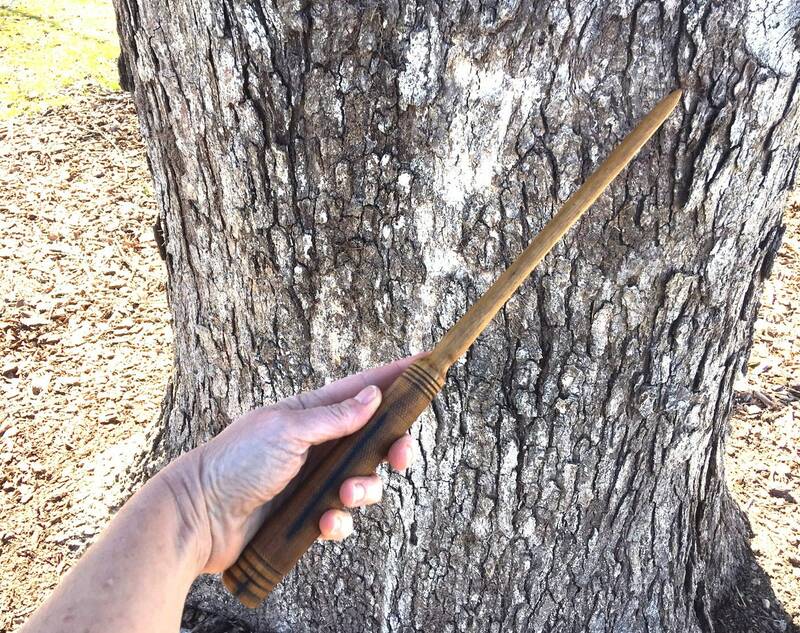 We recommend an occasional rubbing of your wand with an all-natural wood conditioning product, such as Greybeard's Flute Life Wax made with beeswax, carnauba, and almond oil, to keep it supple and beautiful and to last for many years. We accept PayPal and direct checkout with credit card for purchases, due immediately upon completion of sale. We ship USPS Mail. You will receive a shipping confirmation by email when shipped. International buyers, please contact me for shipping quote before purchase. You will be responsible for any customs charges incurred in your country. If you are not happy with your purchase for any reason, please contact us within 7 days, with an explanation. We will do what we can to make your purchase a happy and positive experience and attempt to make it right. If your shipment is damaged, please provide us with photos of the damage, so we can receive recompense from the USPS, and we will happily send you a new item. If you need to return an item, we will refund the amount of the item to you, less shipping costs. I am happy to accept custom work. I love to hear your ideas for custom magical tools and woods that you are interested in. Please send me a convo to see if I can bring your vision to life! All wood items are finished with all natural plant-based oil and beeswax finishes. Wooden items can be rubbed with our Wood Wax (a beeswax and carnauba natural product) or another natural oil finish if needed. Please store ritual items in soft cloths and keep them, as well as sharp knives, out of reach of children. The wooden tankards are coated on the inside with food-safe epoxy for use with cold liquids only. Please wash these (if needed) by hand. Is there magic already in the wands/tools? Our ritual tools are all created by hand, smudged and cleared with herbal smoke, and blessed with loving and healing intent. All magic and magical intent comes from within YOU! All paths in any craft or spiritual tradition are valid and honored, you create your own rituals and magic in the way you choose. Spell responsibly!